Set in 12 acres of open parkland, Mt Buffalo Caravan Park Porepunkah offers plenty of space to kick a ball, ride your bike or have a game of cricket. 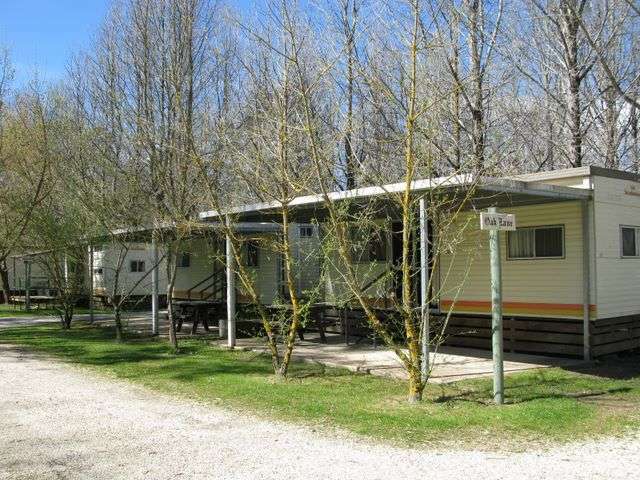 The park is the perfect venue for your family holiday as its set on the junction of the Ovens and Buckland Rivers. 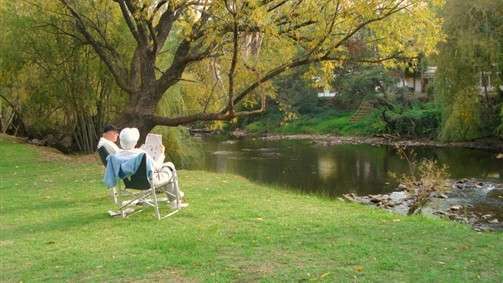 With waterside powered and non-powered sites as well as cabins that include ensuites, Mt Buffalo Caravan Park offers something for every camper. Local attractions and activities include: river walks, gold panning, trout fishing, swimming, bike riding and canoeing as well as so much more. 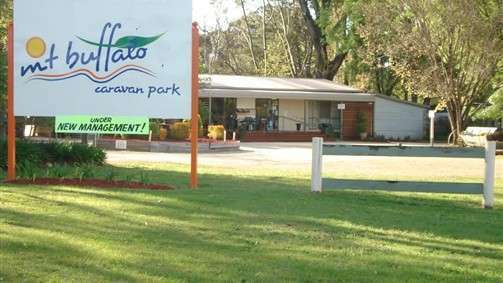 This park is perfect for families, backpackers, overnight stays and travellers of all ages. We know you will enjoy your holiday whether it be a short stay or an extended getaway. 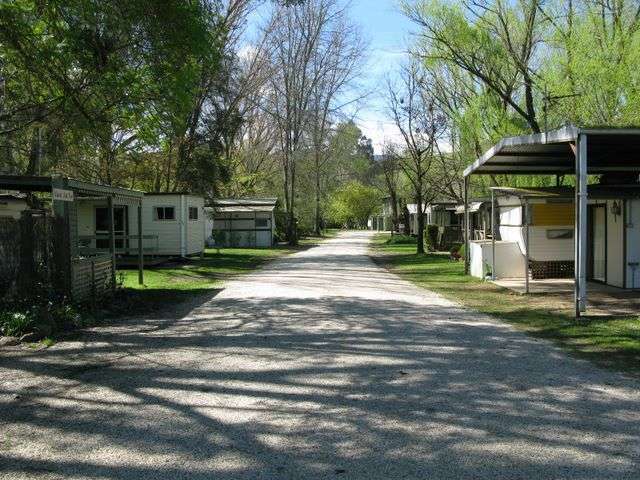 Mount Buffalo Caravan Park is the ideal place for you to visit. Stop and take the time out to absorb the surroundings and great atmosphere. Stay, relax and enjoy! 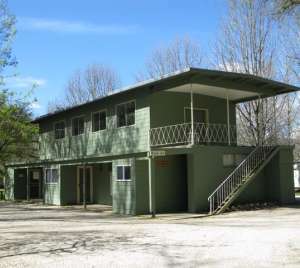 Situated in a quiet, secluded area of the park, the ensuited cabins provide beds for 4-6 guests. Each cabin has a colour tv, kitchenette, ensuite with a shower and toilet as well as a lounge area. All linen is provided at no extra cost. ***Camp Kitchens.......... 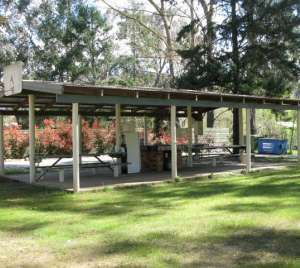 There are three camp kitchens located around the park. Each has free gas BBQs for your use, undercover tables, a sink, microwave, jug, toaster and one has a fridge..........***Fire drums & wood.......... You can hire a fire drum from reception to use on your site. You can also purchase wood which we will deliver right to your 'door'. Enquire at reception..........***Kiosk.......... We all forget something when we go camping, but you can pick up essential items at our kiosk. Located in the reception area, you can purchase anything from toothpaste and sunscreen, through to snack foods and washing powder. Over the Easter and Christmas period, newspapers are available from reception..........***Games Room.......... The upstairs games room offers a tv with lounge area for relaxing. There is air hockey, fussball and table tennis tables to keep campers of all ages entertained...........***Playground.......... 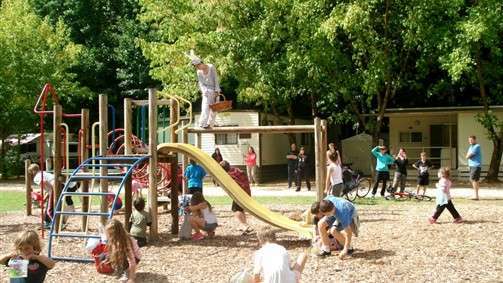 The adventure playground can be used by our littlest campers right through to the age of 12. With slides, climbing frames, tyre wall and a large grassy area your little ones will have hours of fun..........***Amenities.......... The amenities are soon being upgraded, but are clean and well serviced in the meantime.......... ***Laundry.......... 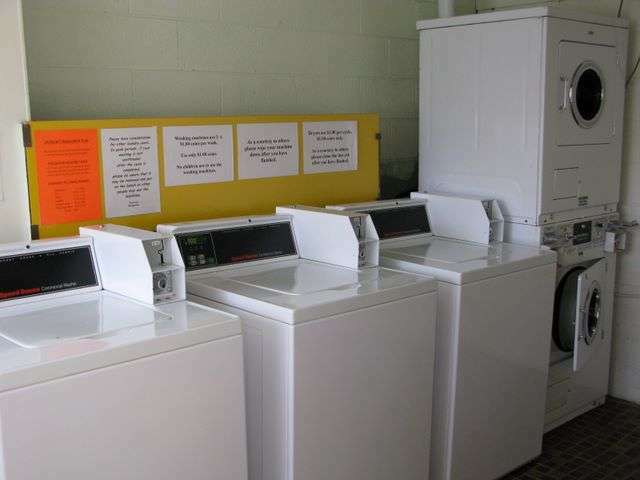 The laundry holds three washing machines, one dryer and a large clothesline so that you don't have to go home with a bootfull of washing. You can collect change for the machines from our friendly staff at the office.